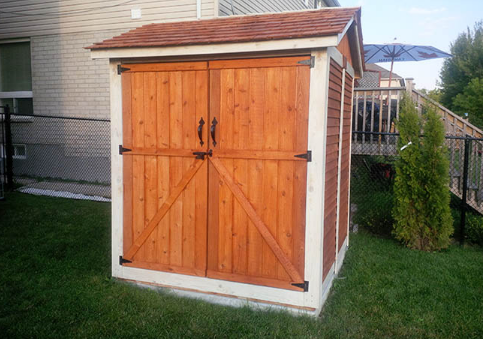 The 6 x 6 Shed (Maximizer Storage Shed) is a great little shed where you can pack all your gardening supplies, bikes or just about anything you can think of into it. Simple, attractive and the perfect size for almost any yard! Add shelving for more organization – a set of 3 shelves for the 6ft garden shed is available. Just click in the ‘Configuration Options’ section above to order your shelves. The 6x6 Maximizer Storage Shed with Double Doors will allow you easy access in and outside of the shed.